Ways to Eat Your Veggies in a Crock Pot - Recipes That Crock! We all need veggies in our diet…whether we like them or not! So why not get cRockin’ with these Ways to Eat Your Veggies in a Crock Pot! If you want to get a variety of veggies in one dish, then you don’t want to miss the next recipes featured: Crock Pot Cheesy Veggies, Crock Pot All-Day Veggie Soup, Crock Pot Chicken Pot Pie. And no Ways to Eat Your Veggies in a Crock Pot list would be complete without including Old Fashioned Green Beans, Crock Pot Sweet and Tangy Carrots and Old Fashioned Cabbage! 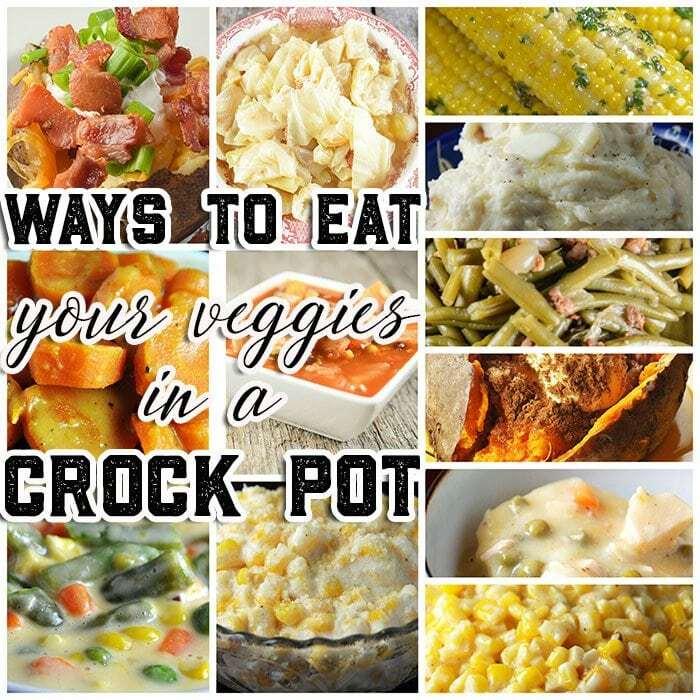 What’s your favorite way to eat your veggies in a crock pot!